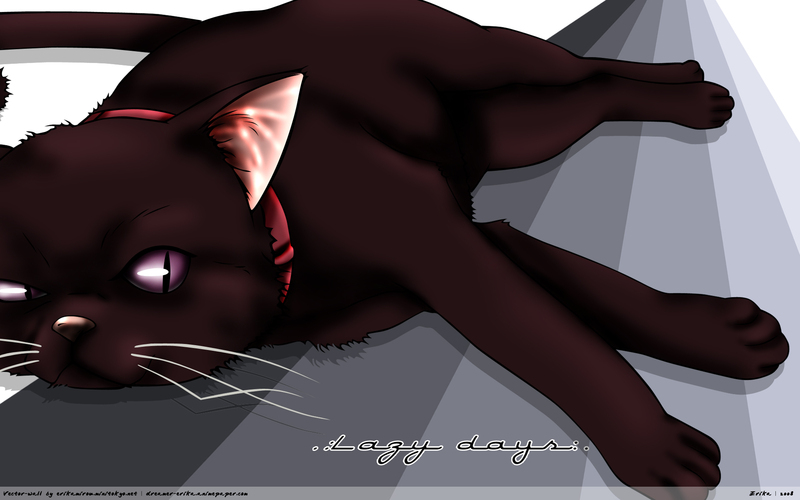 Darker than Black Wallpaper: . :Lazy days:. Minitokyo »	Darker than Black Wallpapers » Darker than Black Wallpaper: . :Lazy days:. The background is very simple and the vector too. The original pic didn't have any highlights or shadows, but i didn't like it just with the base color so I added some shadows and highlights to the vector using the burn tool. Cool, eyes are quite mesmerizing. Awwwwww, kitten. I have such a soft spot for cats. Your vectr is very well done, your shading looks great. beautiful, absolutely beautiful... i love this kitty! cute Mao, he's so cute! so very cute!